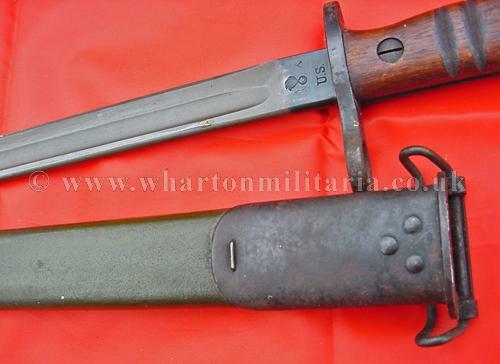 American M1917 bayonet and leather scabbard in very good unissued condition, identical to the British P1913 bayonet but for use on the American issue .303 calibre rifle. 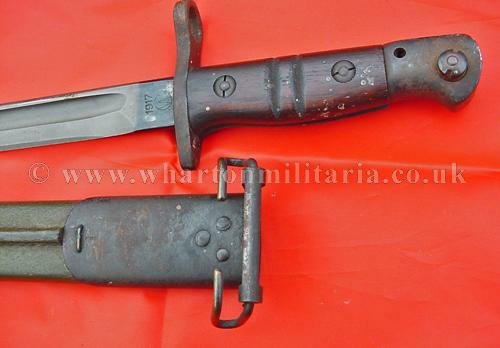 Hand grips are wood with two grooves, secured by two screw bolts, straight cross guard with muzzle ring, pommel has a push button release and clearing hole. 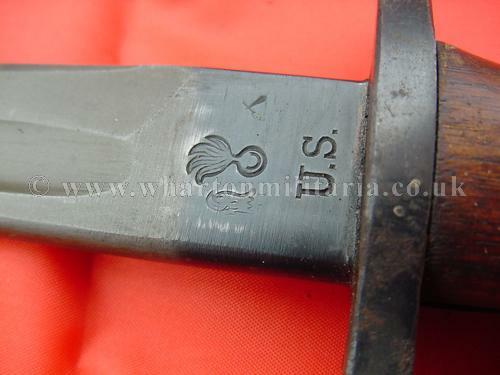 Blade is 17 inch fullered, crisp condition, unmarked and basically unused, ricasso is marked with the American ordnance mark 'Flaming Grenade' over 'U.S.' 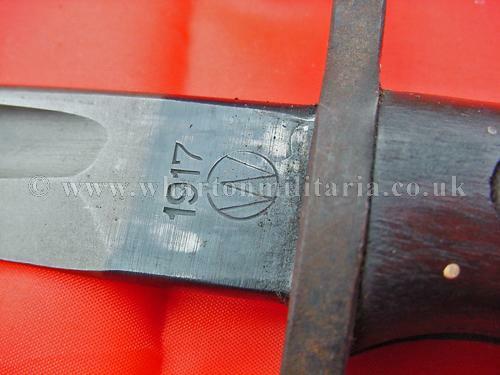 and ‘1917’ over a circle with 'W' inside, Winchester Manufacture. 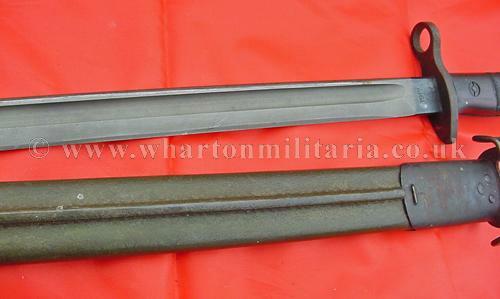 Scabbard is in excellent condition, olive drab green leather with extension bar fitted to the throat of the scabbard with American style wire belt hook, tip fitting has sadly had exposure to damp and has pitted on the tip though this does not detract overall. 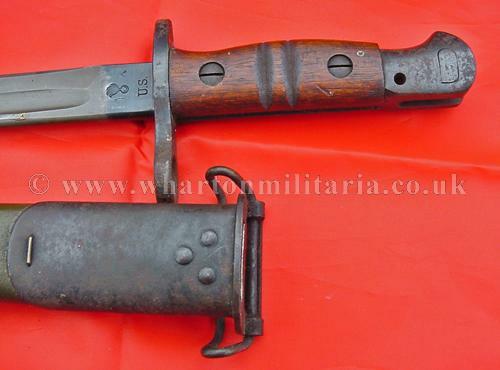 A nice example of this bayonet.